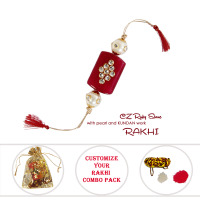 Make an elegant choice by selecting the Marble Plate with Meenakari Work for Rakhi The Marble Plate with Embossed Ganesha Work on it makes for Read More..a splendid addition to any Rakhi celebration. 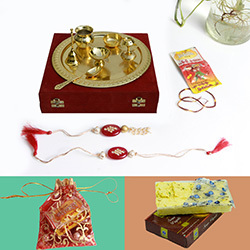 Presence of various other items essential for performing the rituals such as two diya set, and Roli Chawal stand makes this plate perfect for the occasion. 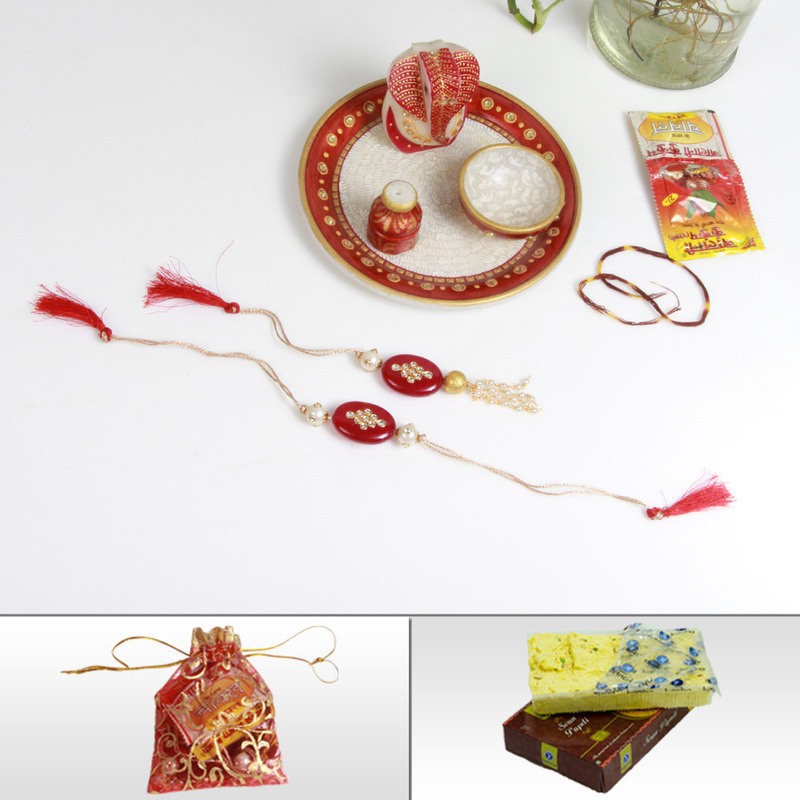 The Marble Plate with Embossed Meenakari Work on it also includes a pair of Rakhi for the Bhaiya. 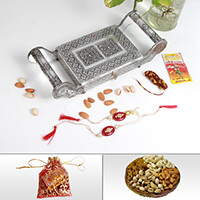 Moreover, the package contains excellent quality sweet in the form of 500gms of Sohan Papdi. 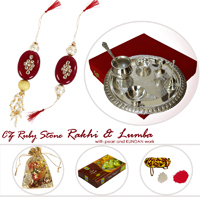 Finally, the inclusion of a packet each of Chawal, and Roli, as well as, a bundle of Moli seals the deal for this marble plate. Show Less.. 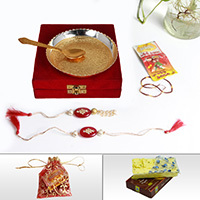 Celebrate Rakhi with this Fabulous Golden Pooja Thali & sweets.